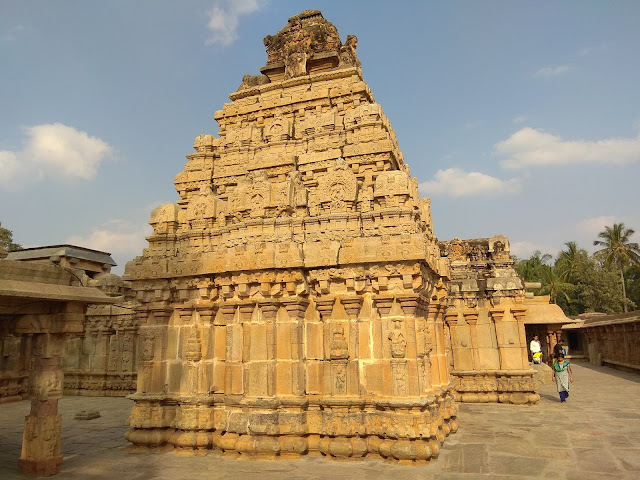 The original temple, recognized as one of the oldest temples of Karnataka, dates back to the 9th century A.D. and was afterward renovated consecutively as in the Dravidian style of construction. It is located at a distance of 54 km from Bangalore and at the bottom of Nandi Hills. 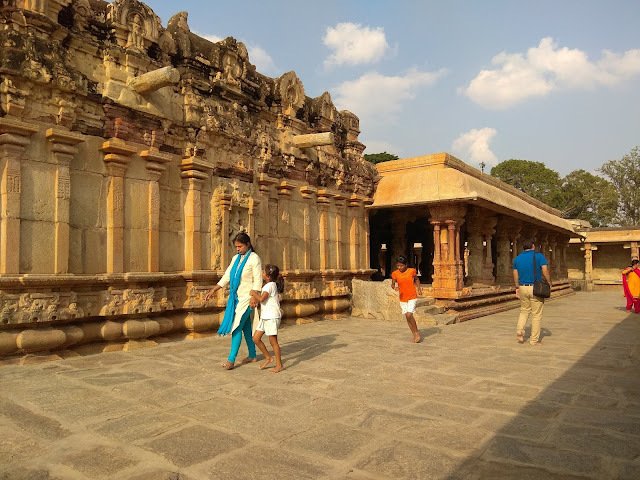 The temple was initially constructed during the 9th century AD by Bana Queen Ratnavali, in the Dravidian style of construction. 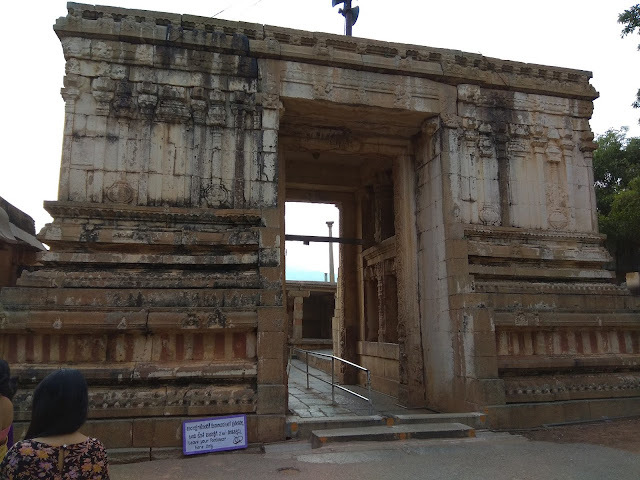 The main temple was renovated repeatedly throughout the consecutive five dynasties under Chola, Hoysala, Pallava and Vijayanagara kings. This big temple houses three temples within the temple complex, viz., Arunachaleswara, Uma Maheshwara and Bhoga Nandeeshwara (Bhoganandishwara). 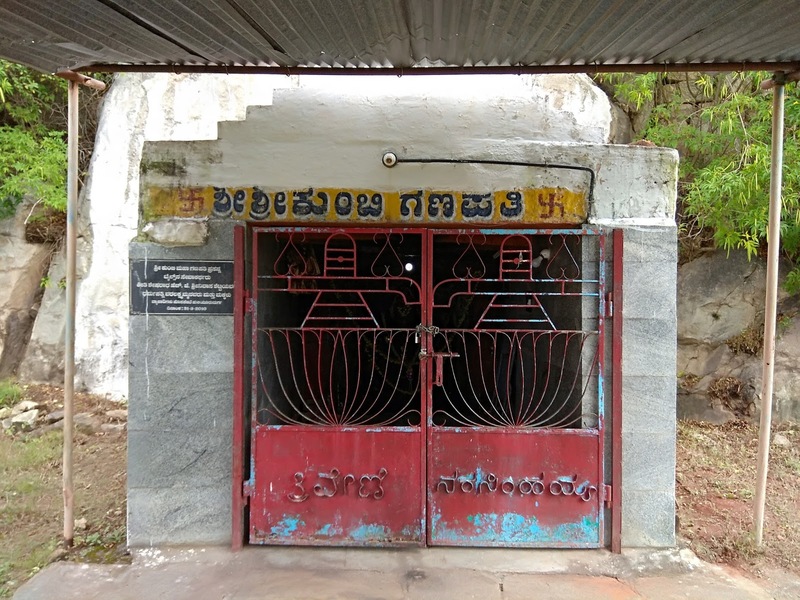 The other portion of the temple houses a large indoor water pond, called Sringeri Teertha and has rock cut steps on which many lamps are lit by the side of the tank on certain festive days like Deepavali. 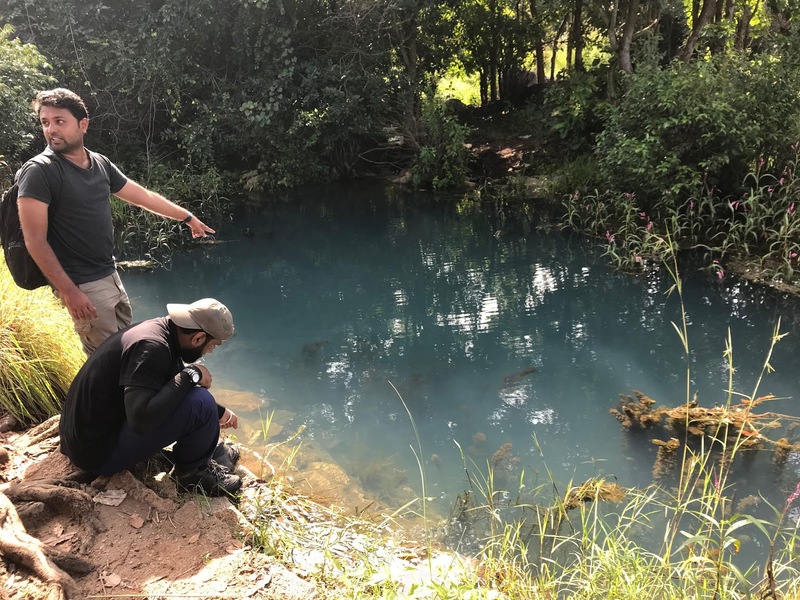 This pond is believed to be a source of Pinakini River. 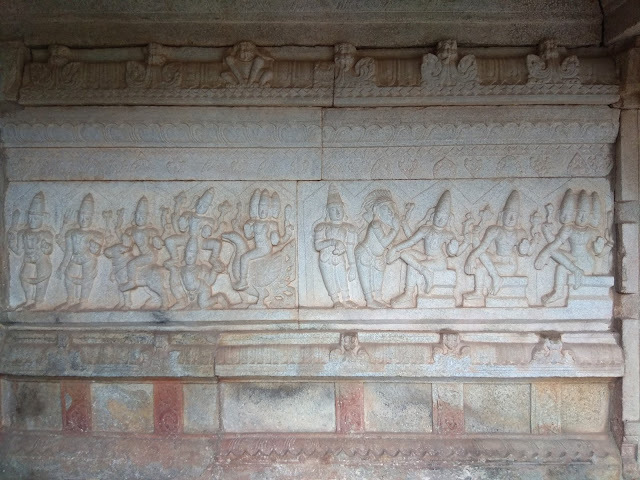 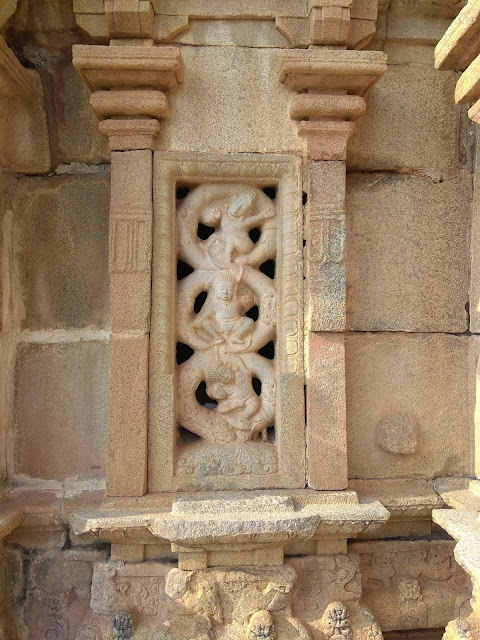 Inside the temple, certain stone carvings are also depicted. 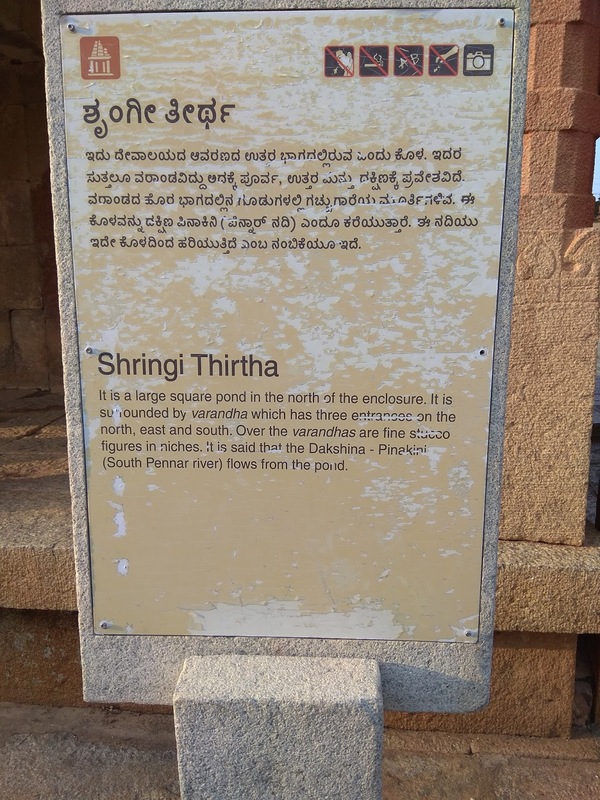 Bhoganandishwara Temple History Inscriptions of the Nolamba ruler Nolambadiraja and the Rashtrakuta king Govinda III (A.D. 806) and copper plates of the Bana ruler, Jayateja and Dattiya (A.D. 810) refer to the construction and grants to the Siva temple at Nandi. 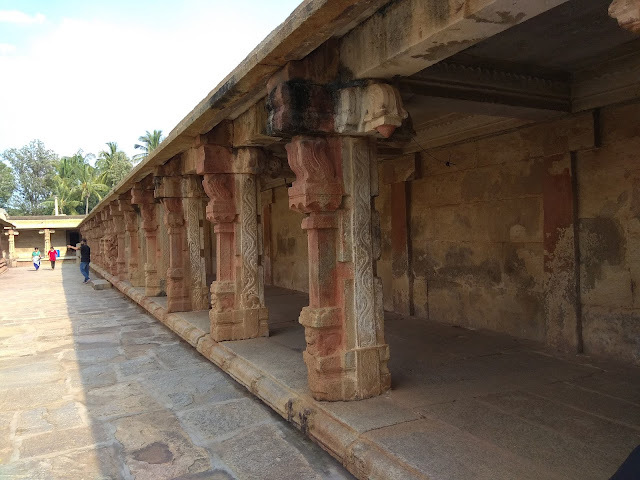 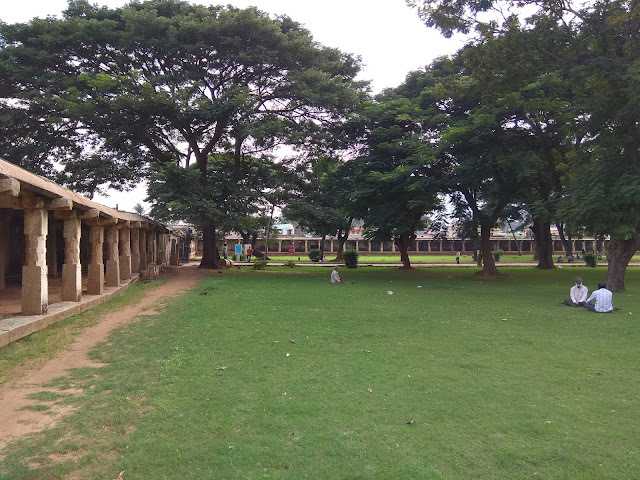 Nandi formed part of the Bana-Nolamba territory during fourth to tenth centuries A.D. Epigraphs indicate that it was under the rule of chola followed by Hoysala and Vijayanagara. Many who visit Nandi Hills near Bangalore, give it a miss mainly due to non awareness. 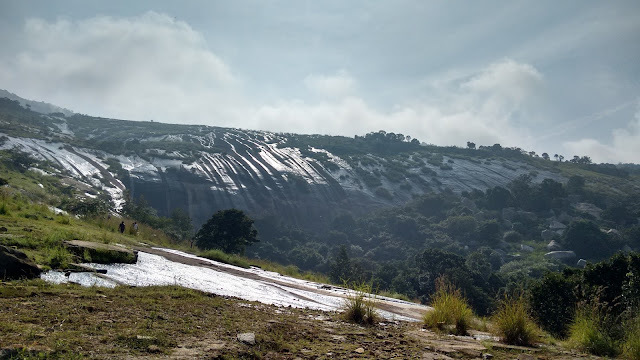 But if you are planning a trip to Nandi Hills soon, Please don't miss this place. 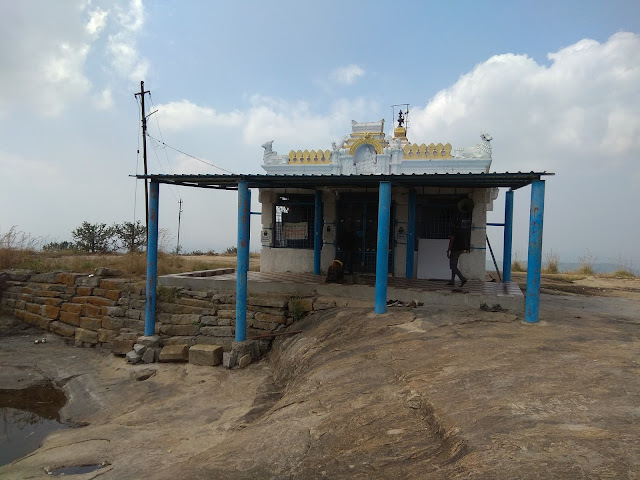 This temple is situated at the base of the hill before you start for the summit. 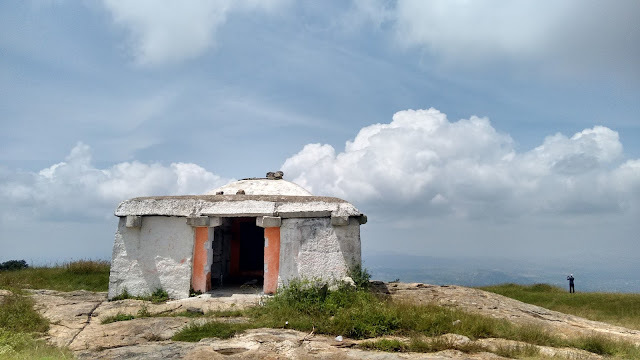 Channagiri Hills is in channapura village which is located near nandi hills, Around 60kms from Bengaluru.Its around 1300 to 1400 mts above sea level. The nandi hills range has many hiking opportunities around. 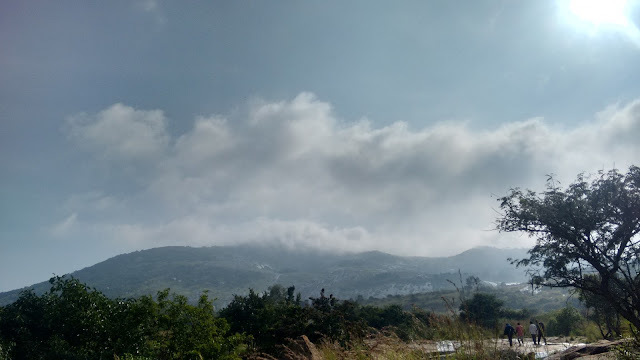 Most of th times its always green an covered with mist. 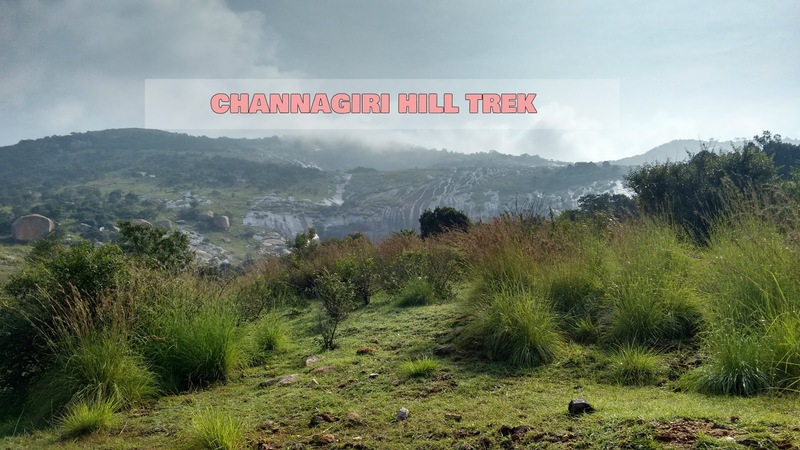 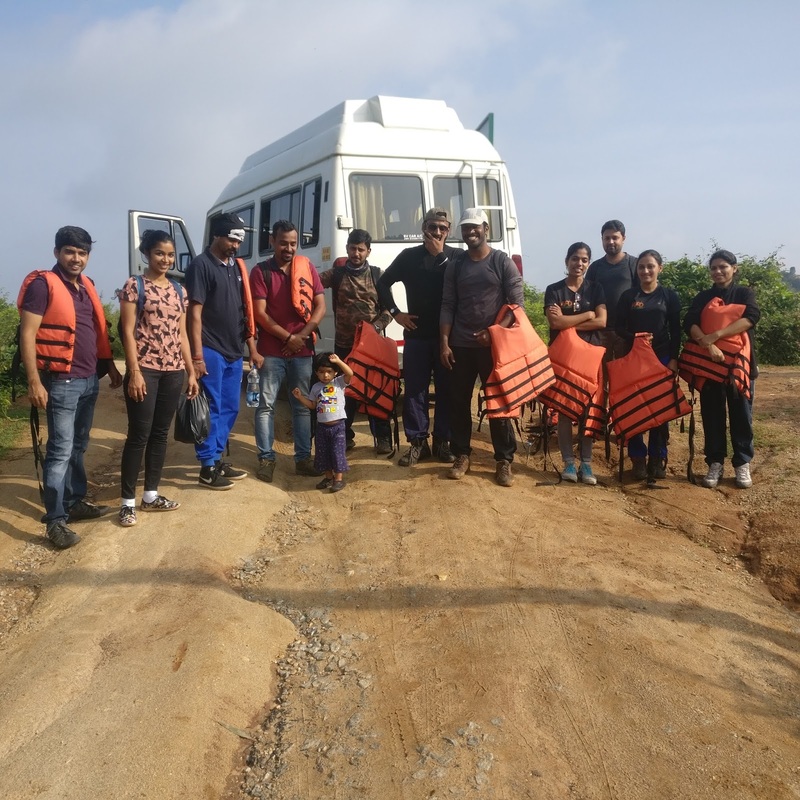 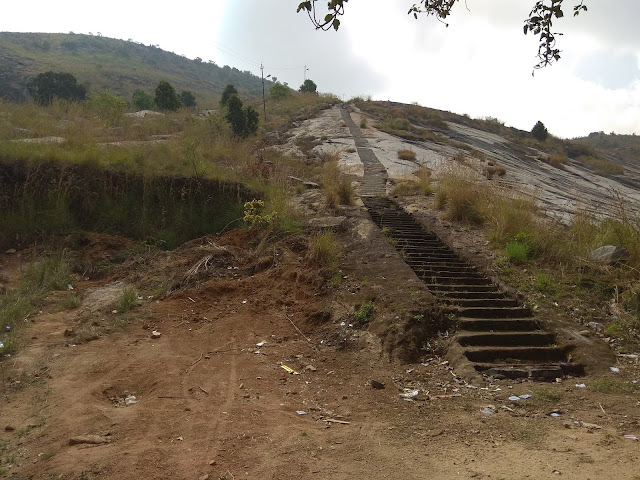 The Channagiri trek trail is almost covered with shrubs, has many boulders around and water bodies flowing all the way from the top of the hill.Heard there are 2 ways to the hill. 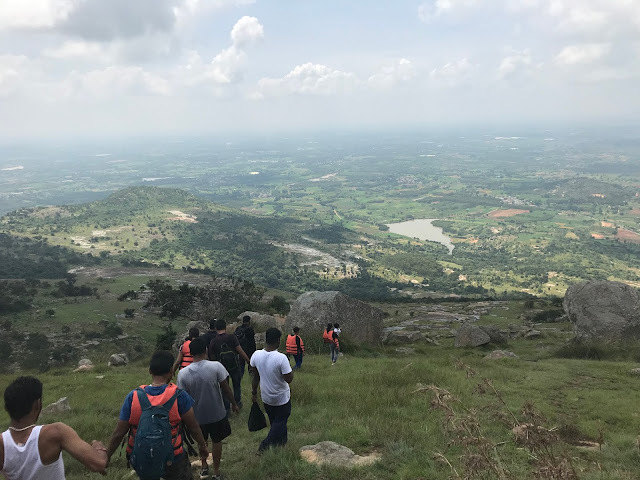 We started from Channapura village, there is a one more way from sultanpet as well, comparitively sultanpet trail is easy.The mesmerizing views of Nandi hills range, the chirruping of birds, chilling breeze, slippery rocks, mindblowing waterfalls made trekking more interesting and restless. There are few small falls on the way to the peak as it was a rainy season. 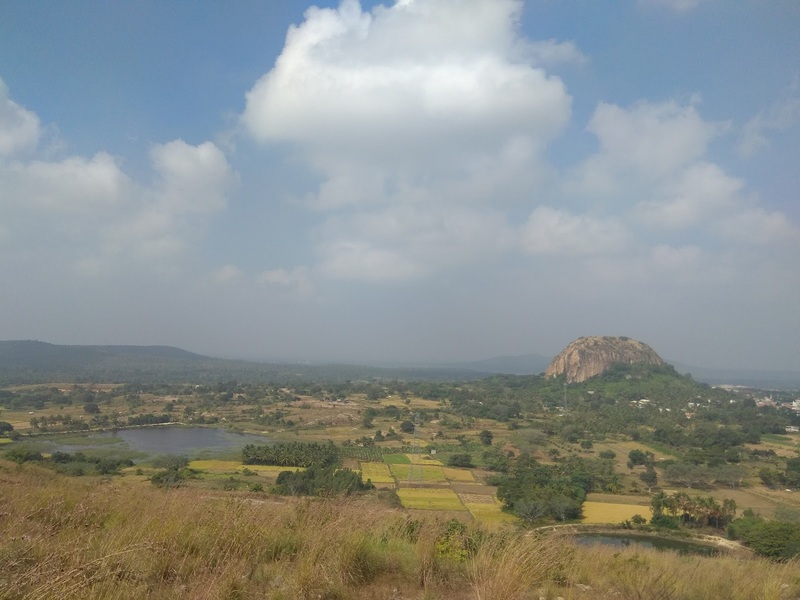 Weekend usually crowded with local village and town people. 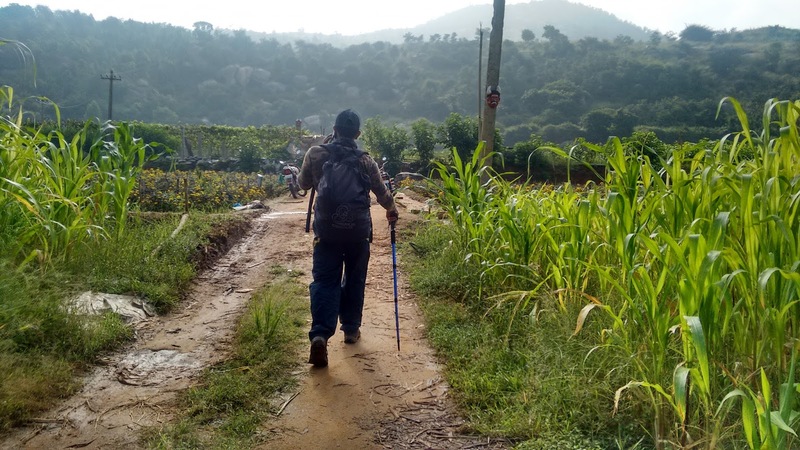 Better to be in the group trek. The huge waterfalls is on the middle way of the peak which quite scary and majestic. 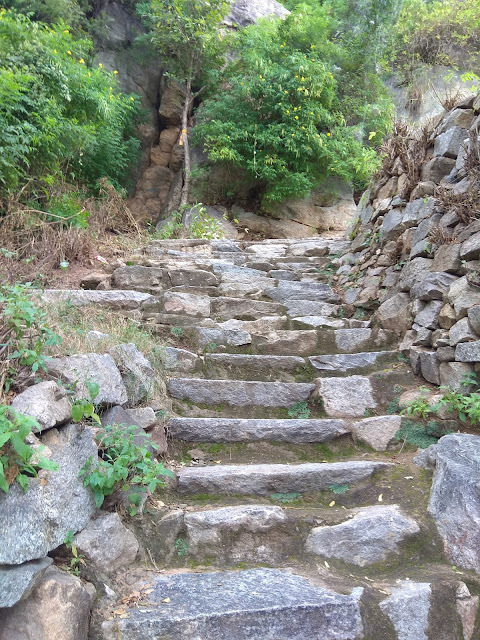 There are few hidden small waterfalls which can be explored if interested. 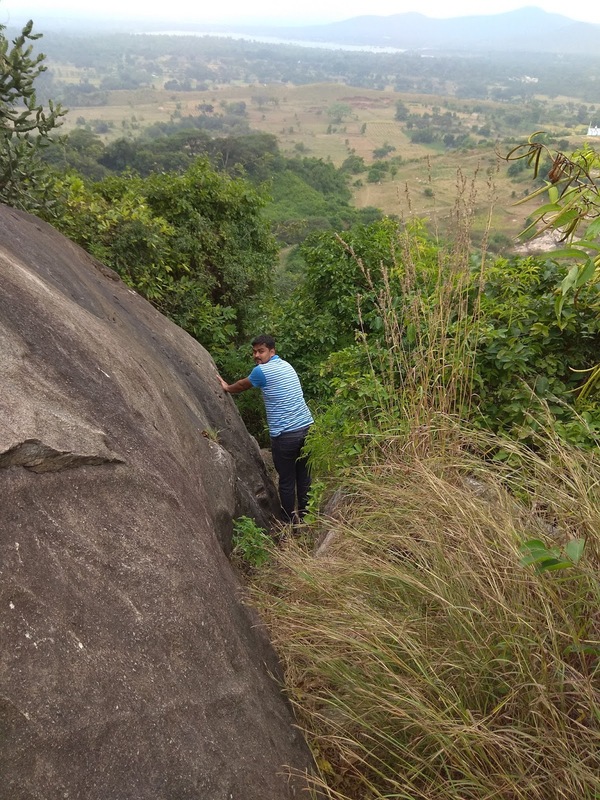 Suitable care to be taken incase trekking during rainy season as the rocks are slippery , also terrain is very diverse ,it could be very dangerous. 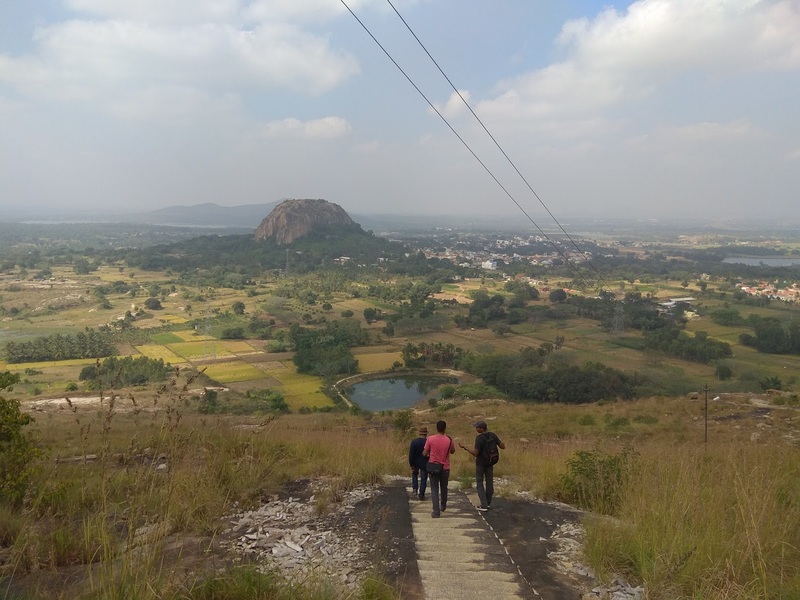 From the lake to trek base is almost 20 mins walk inside the grapeyards and paddy lands. 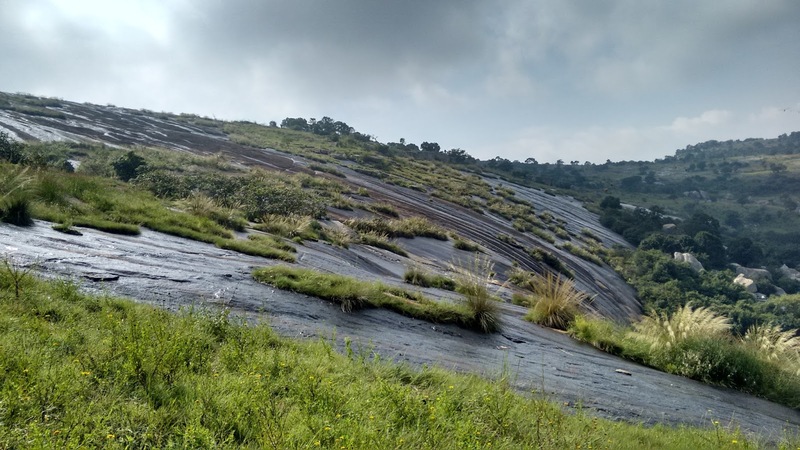 From Greenery to waterfalls, Ruins to rocky lands, It was a package of everything in one!!. 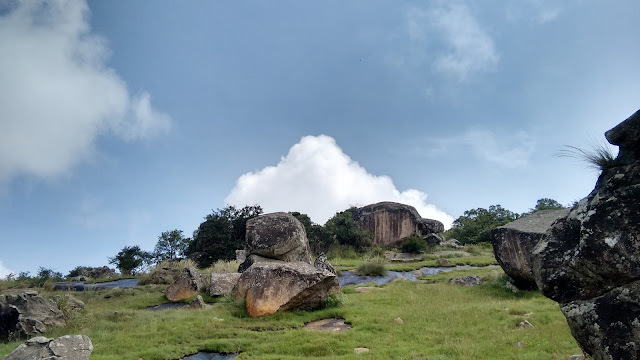 Look For : Cave temple well before the top, Hanuman temple at the peak, Kalyani at the top, Few ruins around, Blue pond near the start of actual trek. There are many trekking organisation which could plan a weekend trek or somemore adventure activities. 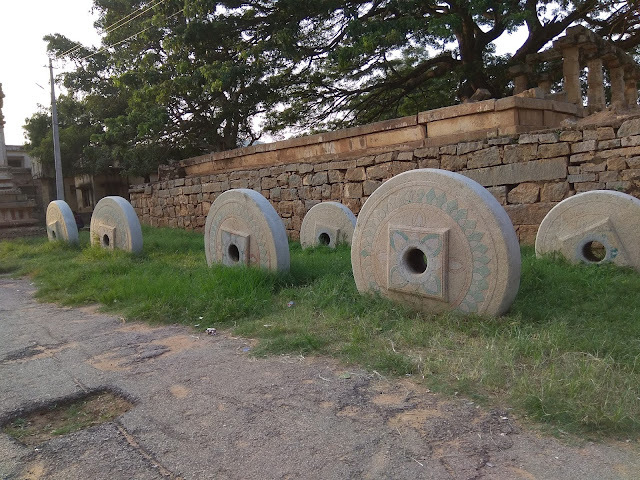 Few of them to name are Nomadify, Madventures. 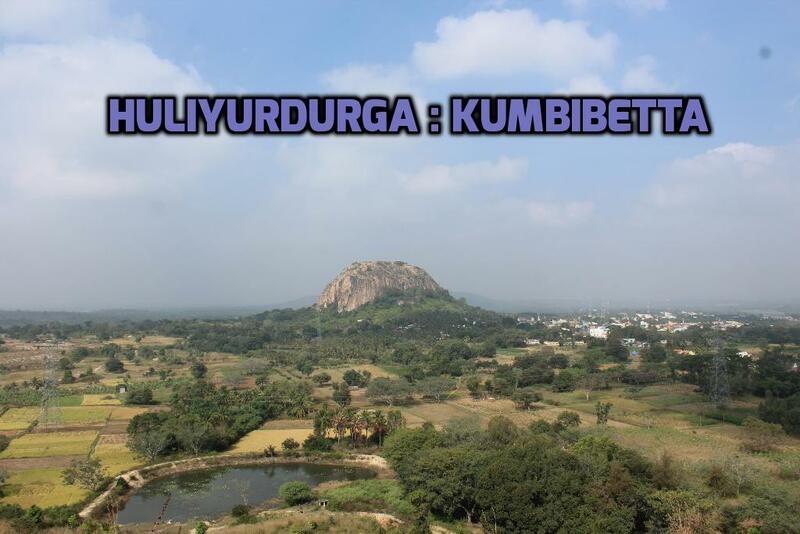 Look out their space for more details and packages. 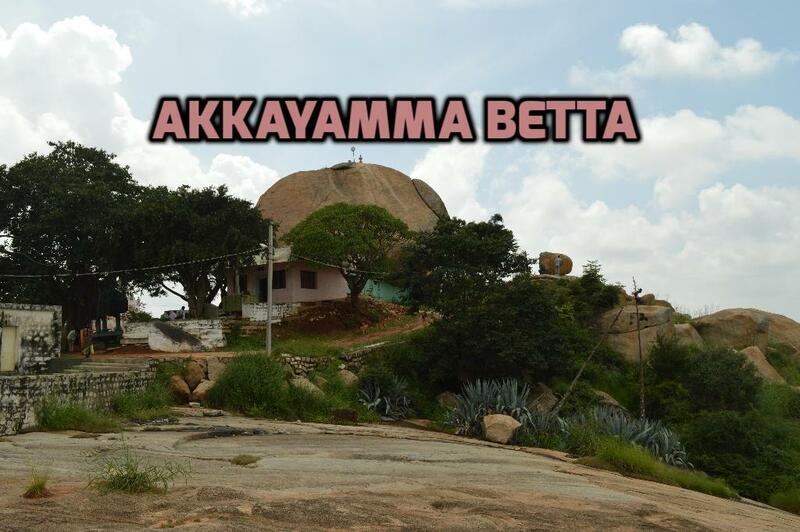 Akkayamma Betta is a small hillock near chikkajala, very much visible from airport highway. 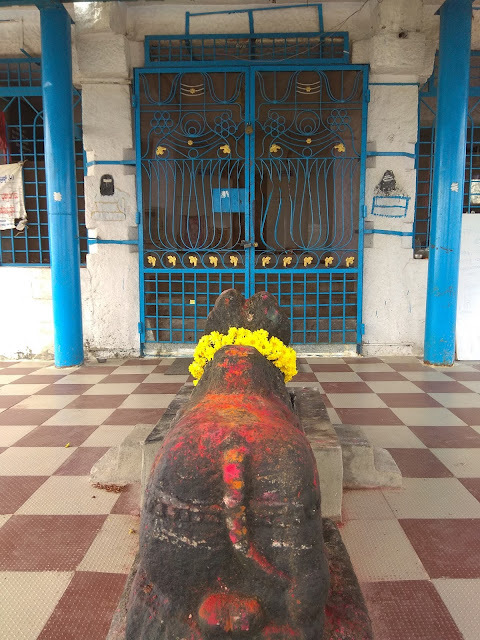 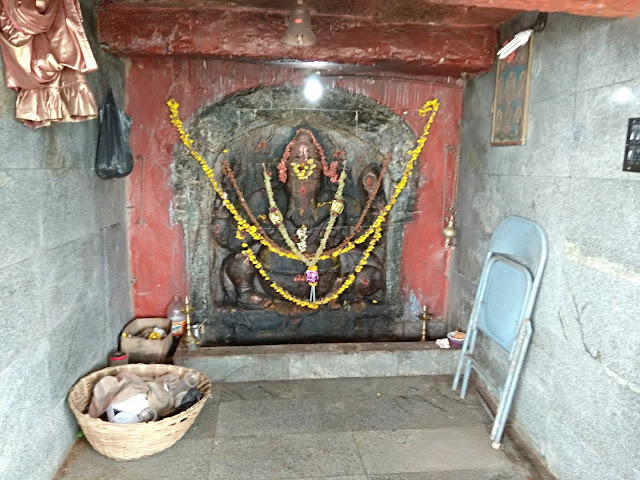 There Lot of temples and small caves and cave temple at the top of the hill like Bhimeshwara swami,Gavimaheshwari amma temple(Cave Temple) etc. 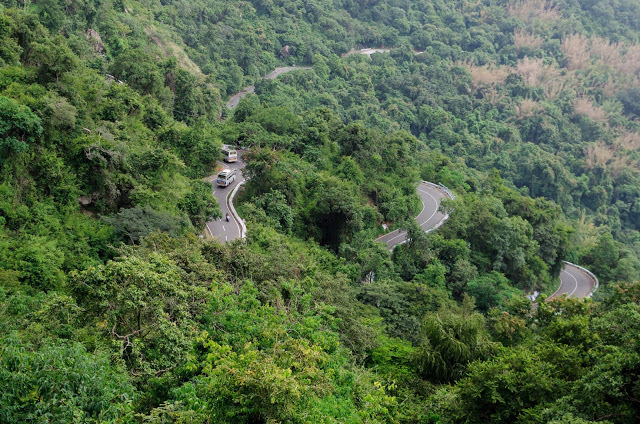 2 wheelers and 4 Wheelers will go directly up the Hill top temples. 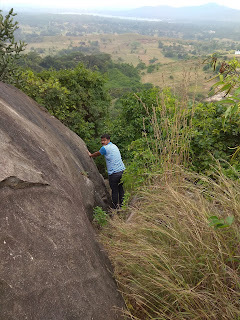 The hill has many boulders and good city views which grabs travelers ,religious and photo enthusiastic people. 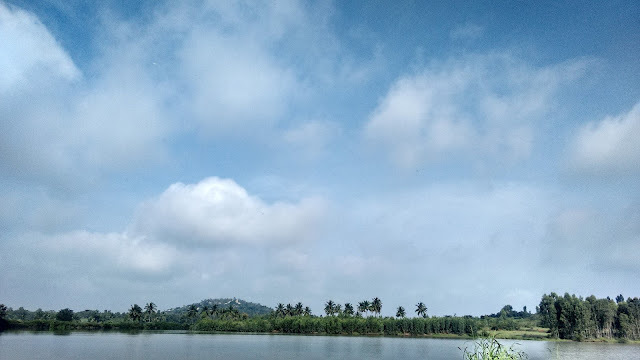 Its 06km from yelahanka. 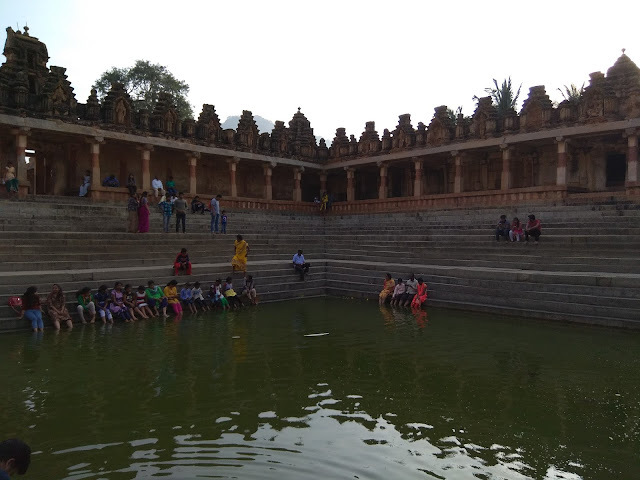 In all the temples daily rituals is being conducted. "There are lot of so called literate people, who are jobless, they have exhibited few wording below,Probably we can nominate for Nobel Prize in the field of Literature!! "